The sensitivity factor characterizes PET. For transmitters operating at reception and radiation, it is possible to determine the emission and reception factors. The evaluation of the coefficient of double conversion can be performed according to a separate scheme (Figure 3.4, a), by setting the source and receiver on the object or by a combined scheme (Figure 3.4, b). In a combined circuit, the PET is a source and a receiver at the same time. The sensitivity (conversion factor) of a PET depends on the frequency of the received and emitted signals. 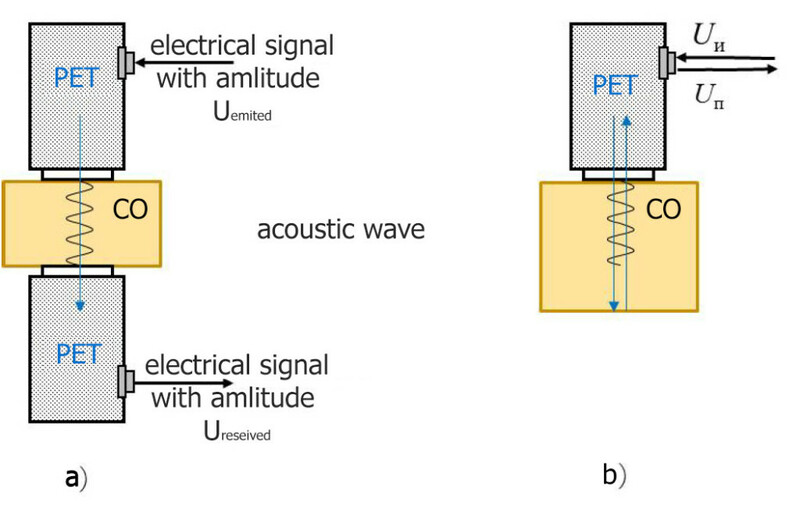 The PET is able to effectively convert signals only in a limited frequency band. The signals with other frequencies are converted into signals with a small amplitude, below the sensitivity threshold of the flaw detector. In ultrasonic testing resonant converters are used, which have a sharp maximum of sensitivity at a certain frequency. The amplitude-frequency characteristic (AFC) (Figure 3.5) of the resonant converter is bell-shaped. 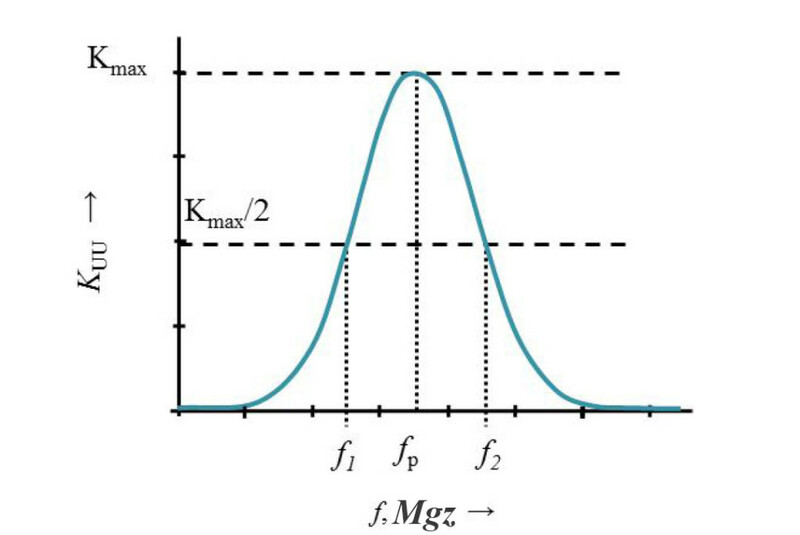 Where C is the speed of the wave in the piezoceramic plate, m / s; H is the thickness of the piezoceramic plate, m.
The resonant frequency primarily depends on the thickness of the plate and is indicated in the marking on the PET. Modern flaw detectors allow the operator to change the frequency of emitted and received signals. When preparing for monitoring, it is necessary to set the frequency in the defectoscope settings corresponding to the selected PEP. In Fig. 3.5 shows the amplitude-frequency characteristic of a PET, at the resonance frequency fr, the maximum double conversion coefficient is observed. At f1 and f2, the conversion factor is half the maximum, 6 dB less.